Now is the time to welcome, recruit and grow our membership! So many women who voted for Trump and various other Conservative candidates are coming out and need to share their excitement! 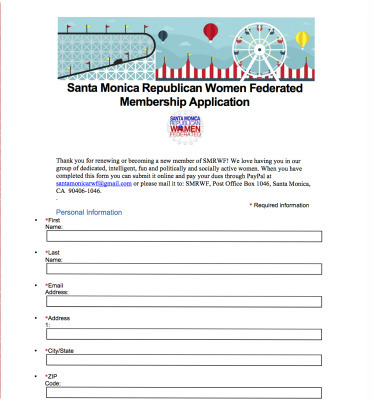 January 1st through February 14th is designated as our Annual Membership Drive!! Invite many, and invite early!! Time to renew your membership, Dues are DUE! Eligibility: Shared commitment to conservative values and electing Republicans to local, state and federal offices. Membership Levels are Listed Below. Click SELECT to be taken to payment processing for your desired membership level or click and dowload the membership form at the left. *Available only for men, non-citizens, women too young to register to vote, and for women who are members of other Federated Clubs. This new program reflects the ease in which you may renew, with multiple year discounts!